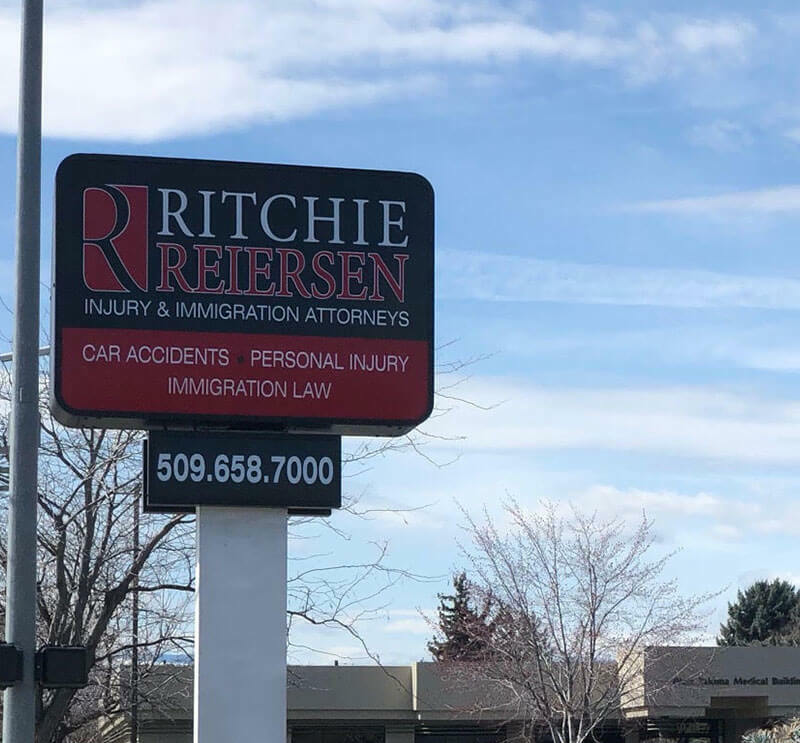 If you have been in a car accident, Ritchie Reiersen, a car accident and personal injury attorney in Yakima, is here to help. Our team of personal injury attorneys have won thousands of car accident cases and have the experience to help you with your personal injury and car accident needs. Our car accident lawyers help victims around Yakima, WA that have been injured or killed in car accidents by pursuing the personal injury claim to the fullest extent of the law. Car accident claims can be complicated and very frustrating. Having an experienced auto injury lawyer on your side can take away a lot of the stress and allows you focus on recovering from your injuries. The most important step you can take is to consult with an experienced local personal injury lawyer for your car crash as soon as possible. Our personal injury attorneys service all of the surrounding cities including Sunnyside, Prosser, Union Gap, Ellensburg, and Toppenish. 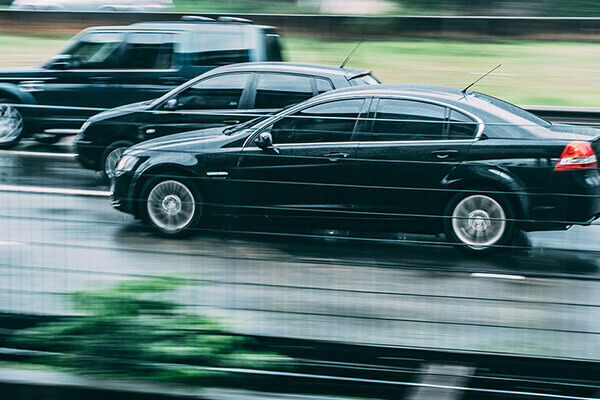 If the car accident was someone else’s fault, you do not have to bear the burden alone. A consultation with one of our car accident lawyers in Yakima WA is always free. We have Personal Injury offices with lawyers in Yakima, Kennewick (Tri-Cities), Tacoma and Auburn for your convenience. Call our personal injury firm at (509) 658-7000 for a free consultation with an experienced accident attorney. Call our Immigration and Personal Injury law firm at (509) 658-7000 for a free consultation with an experienced Immigration or Accident Attorneys. Personal Injury and Immigration Lawyer Yakima WA. Ritchie Reiersen Law has experienced personal injury attorneys with experience and knowledge of handling car accidents cases. 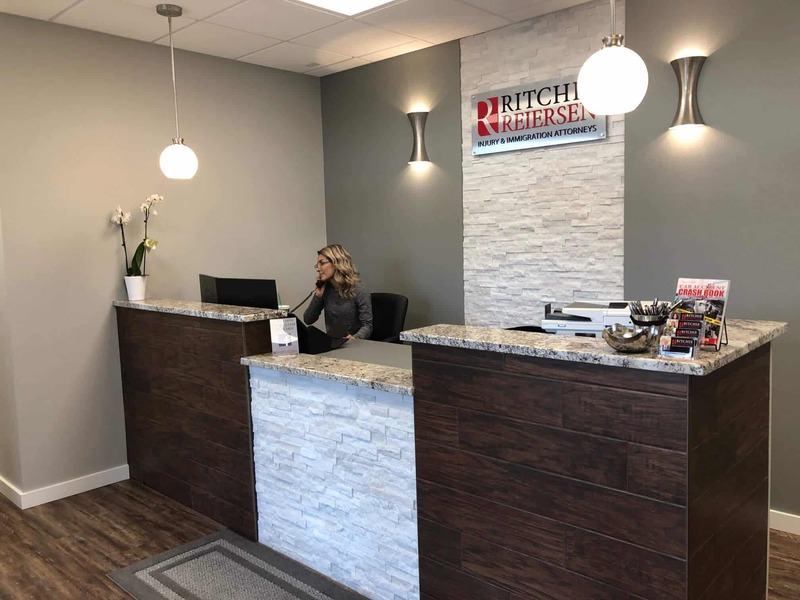 As your car accident lawyer, Ritchie Reiersen Law handles the medical bills, deals with the insurance companies, takes care of the legal paperwork and ensures you get a fair settlement by negotiating with the insurance company. Ritchie Reiersen Law has personal injury attorneys at locations in Tri-Cities (Kennewick, Richland, Pasco), Yakima, Tacoma, Portland, and Auburn. Call today for your free consultation at (509) 658-7000. Our Personal Injury Lawyer Yakima WA, understand the nuances of Car Accident Cases. We can help you today! We have helped thousands of victims get the compensation they deserve. Our track record of successful outcomes totals more than $20 million in injury cases. We don’t charge you until you win. Experience Success with Ritchie Reiersen Law. Sometimes you just need some advice. Tell us how we can help. All accident injury consultations are free and carry no obligation. The immigration process to becoming a U.S. citizen or receiving any type of visa can be very complex and confusing. Get an experienced immigration lawyer, who cares for you and understands the Immigration process. The Immigration Attorneys at Ritchie Reiersen Law in Yakima, Washington offer a free Immigration Consultation to answer any of your immigration questions. Our immigration lawyers understand the United States Immigration system and speak Spanish to accommodate any Spanish speaking needs. 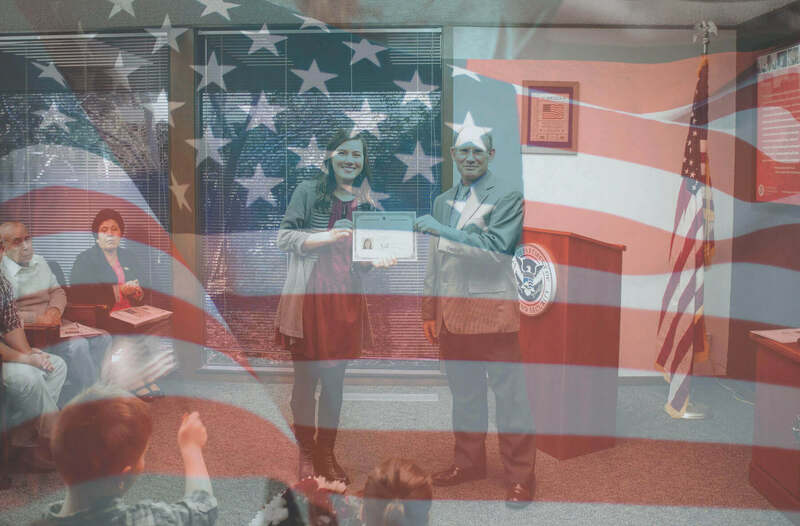 If you have questions about visas, becoming a United States Citizen or issues revolving around deportation and removal proceedings, Ritchie Reiersen Immigration Lawyers in Yakima, Washington wants to help. For your free consultation with an immigration attorney in Yakima, Washington call (509) 658-7000. 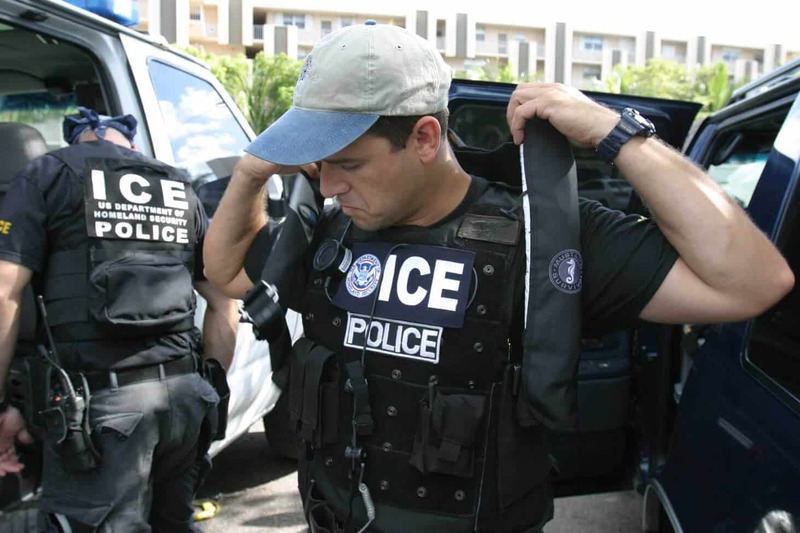 Ritchie Reiersen Immigration Lawyers in Yakima, Washington are experienced with deportation defence for individuals who are detained on ICE holds. Our immigration lawyers also have experience handling removal proceedings and seeking asylum protection. Our immigration attorneys want to help immigrants around the Yakima, Washington area with their immigration and citizenship needs. We have Immigration Attorneys serving Tacoma, Auburn, Yakima, Kennewick, Moses Lake, Seattle, and Portland. For your free consultation with an immigration lawyer in Yakima, Washington call (509) 658-7000. "I wish I would have had this book when I was hit 10 years ago. I made so many mistakes and ended up paying for it with long term injuries that weren't covered, and the regret of looking back at the compensation I should have received for my car, my pain and my time." Get the help you need after an accident. This book is full of easy to understand action steps so you can protect yourself or your family.